Two love birds tying the knot, this is a special design for a very special occasion. 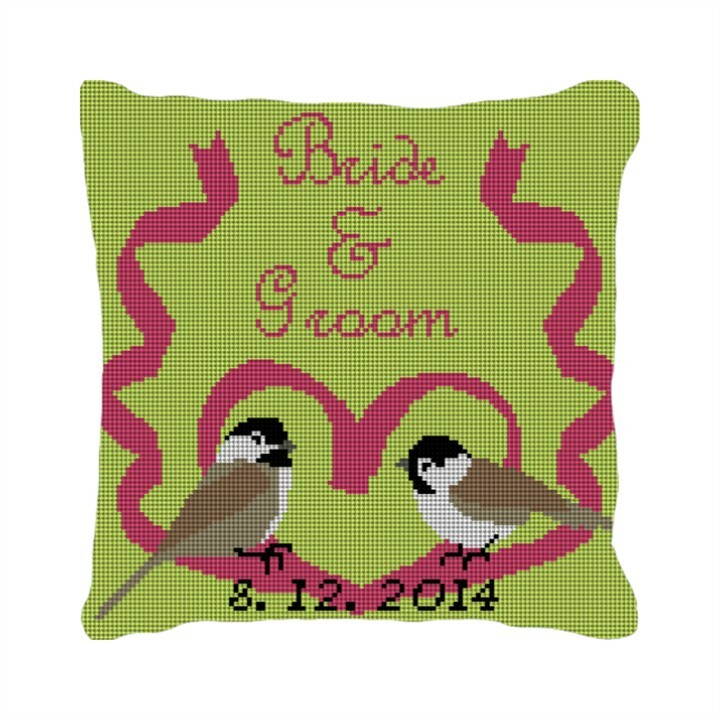 This needlepoint canvas is designed to be personalized with the bride and grooms names, and the wedding date below. Be sure to add this into the notes, and a preview will be emailed to you before your canvas is made.